This year we’re itching to bid farewell to 2016 or annus horribilis as many of us are calling it. The New York Times simply called it “the worst year ever”. 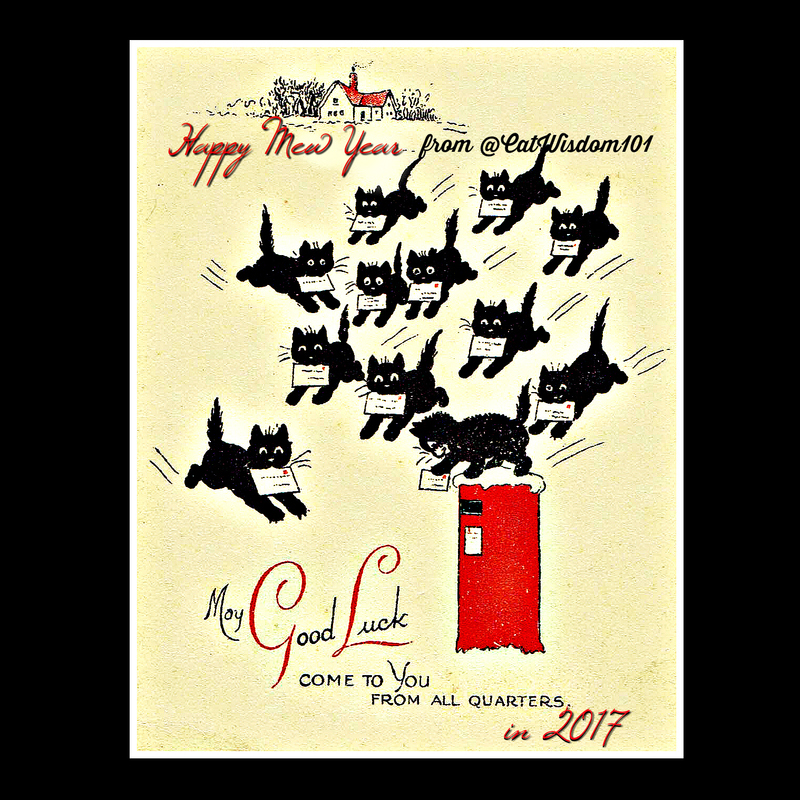 We’re feeling nostalgic and opting for a old-fashioned Vintage Feline New Year and began wondering what Auld Lang Syne really means. The traditional earworm of a song is familiar but I can’t recall more than a couple lines or where it originated from other than Scotland. I did some digging and there’s more to it than poet Robert Burns being credited for writing the poem in 1787. Originally it had nothing to do with New Years but sung on January 25th the celebrate Burns’ birthday. And Burns adapted it from earlier folk song dating back the 14th century. He gets credit because he was the first to publish it. The actual tune is purported to be written by composer William Shield. The melancholy song is translated from a Scottish dialect. 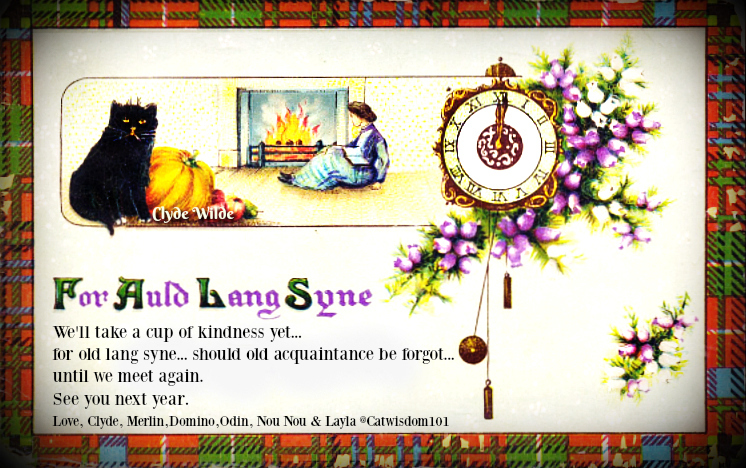 Auld Lang syne means “old long ago for old times sake and “we’ll take a cup of kindness yet” refers to sharing and toasting Scotch whiskey with friends. I’d like to think the cup of kindness is more than a metaphor. We could all use a big cup of compassion this year and appreciate friends old and new, near or far. 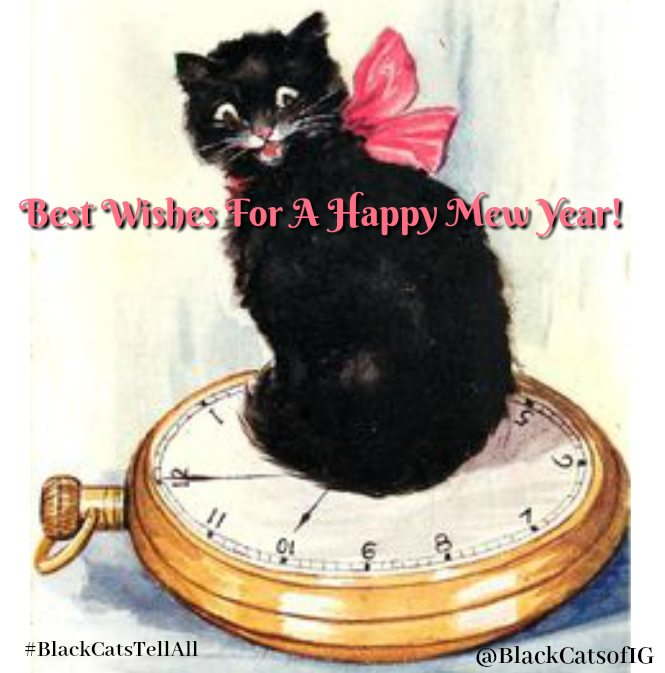 Cheers to a purrfectly Happy Mew Year and if it can’t be perfect, we can at least enjoy cats. Did you notice what all the vintage and vintage inspired cards share in common? Most contain black cats for good luck. I love that and hope we can take that old tradition and bring it to the 21st century. On a modern note: This is a screenshot of some of my Instagram pics of of the last year. 99% cats, what else? You can show off your lyric skills tonight by boning up on the easier English translation of Auld Land Syne. Shucks, we are now yearning for all those good old times that we don’t wanna furget, evfur. But its now 2017,and a new beginning fur all. Lets purr it will go well and be wonderfur fur all! I hope your 2017 will be filled to the brim with kindness, love, and health for kitties and their humans. 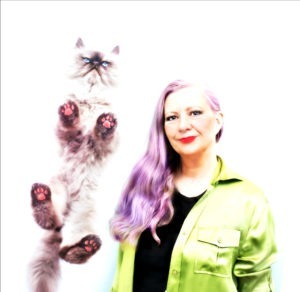 At New Years I always like to look back at the cats who passed through PAWS – lest old acquaintances be forgot. Thank you for giving dear Clyde a loving home! What a great tradition Maggie and Clyde feels like he’s been here forever xoxox. All good things for you and yours in 2017! Dang. That was one tough year we just finished. Happy New Year to you, dear pals. We are so grateful for you, and for your friendship. Here’s hoping your 2017 is filled with love, joy, peace and all good things. Hugs! The circle of life comes round again. We suffer loss and and pain and bad things but we go on with hope and renewal in our hearts and souls.The year has ended and a new one begun and we give thanks for all that we overcame in the old one and all that we can overcome in the new one. We wish for all peace, love , kindness, compassion, health and joy. We wish for all that their needs be met daily and that they may always be able to see,understand and count thier blessings daily. And speakin’ of that cup of kindness. I, Seville the Cat, brought in the New Year with a nip heart. The peep, somewhat lackin’ in good taste – at least when compared to me – had Scotch. The start of our year meant it was pouring with rain and the outlook is for more of the same. We are so excited NOT!! Never fear. 2017 is going to be better 🙂 Stop by on Monday for more. May 2017 bring easier times, health for humans, health for animals, happiness for those near and far. May your cup be overflowing with kindness throughout the year. Happy New Year, Layla! May 2017 be a joyous one for you. Wishing you a very Happy New Year! ?❤? 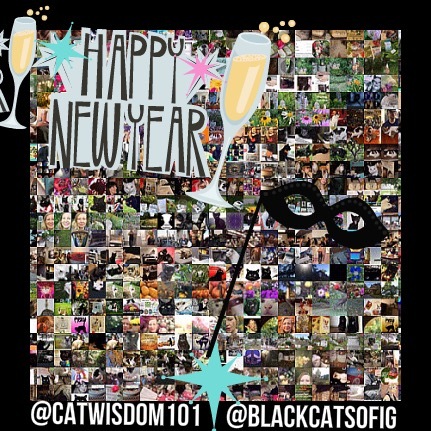 Happy Mew Year to you too! I love that, and I’m a full quarter Scots, and I learned something from this. My human won’t miss this year… not that she thinks the next one will be any better! At least we have some good things happening personally, but she is very worried about the rest of the world! Or so I hope. Black cats are special and I wish for happy homes for all. People, please realize that 2 is as easy as one!! Can’t say I’m looking forward to 2017. If you thought this year was horrible … May you survive 2017 with good health, prosperity and peace. CK, 2017 is going to be year one of a new 9 year cycle. See my blog post about it at BoomerMuse. I’m very optimistic. Happy New Year to you. I hope 2017 will be kind to us all.
? 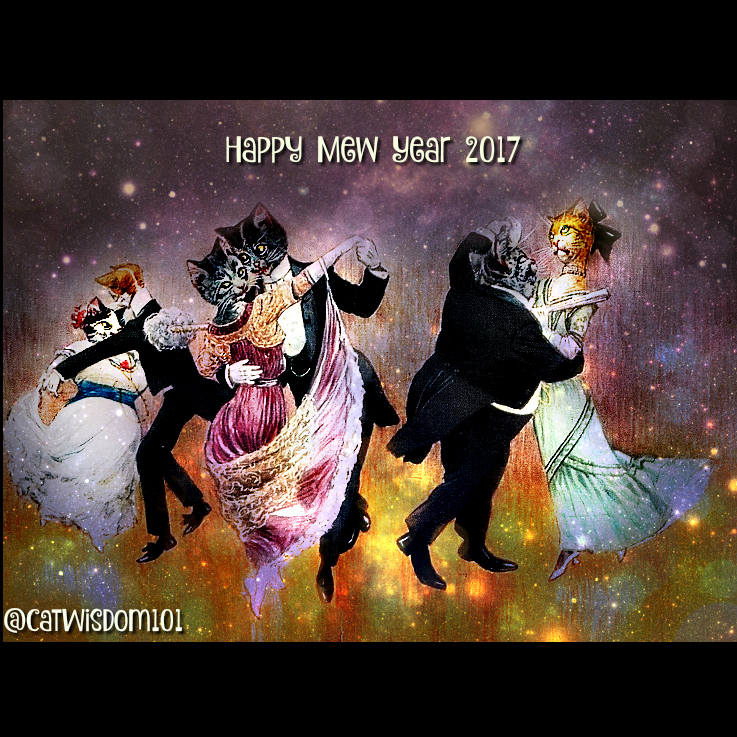 ☆ ＨＡＰＰＹ MＥＷ ＹＥＡＲ ☆ 2017 ? Well, it certainly wasn’t a good year for Blogville, but we’re all still here so it wasn’t that bad. Happy New Year Layla and may it bring all things good your way!